There are so many festival occasions in the year that can use a red and gold bling bling glitter nails! 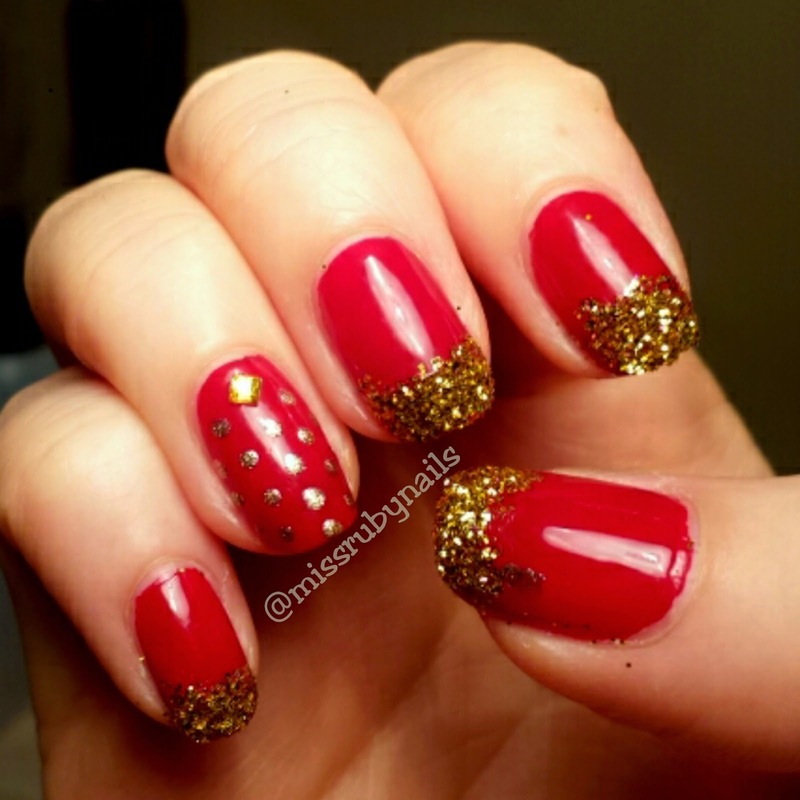 Here's a super simple combo I created with a red base color and gold add-ons. On the accent nail, I first put a gold jewel and but thought that wasn't enough, so I added some polka dots. 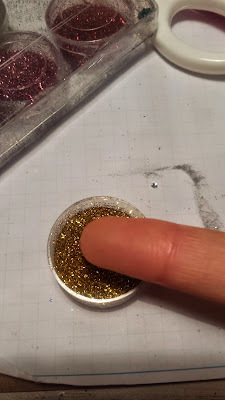 For the rest of the nails, I painted the tip with a clear coat and then dipped the nail into a pot of gold glitter, then I slightly pressed the glitter on the nail to make sure they adhere well. And we are done! You may want to apply a top coat before the glitter and just leave the glitter on without a top coat over, that might create a more textured effect. 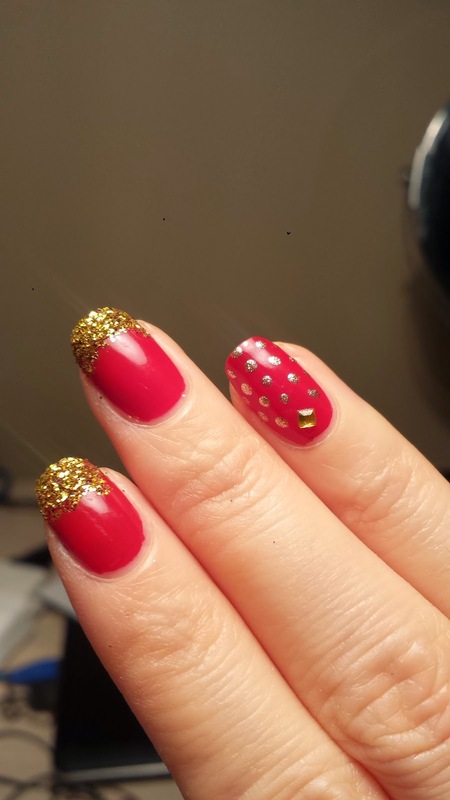 Or you can also apply top coat at the very end to seal everything and that can get you a little longer wear before the polish chipping.